A 27 hole layout inspired by Scottish tradition, Heather Glen benefits from the genius of two nationally known architects. Willard Byrd and Clyde Johnston combined their abilities to perfect this gem. The result is a challenging, but very playable championship course that lies primarily in South Carolina, yet your shots will also travel through North Carolina. 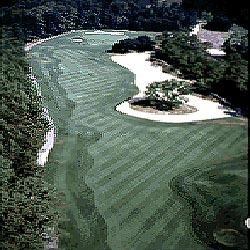 This is a track you will enjoy time after time and is a must play for the Myrtle Beach regulars.